This sapphire bangle is available in 18K white gold. The centerstone may be special-ordered in any precious gemstone color. 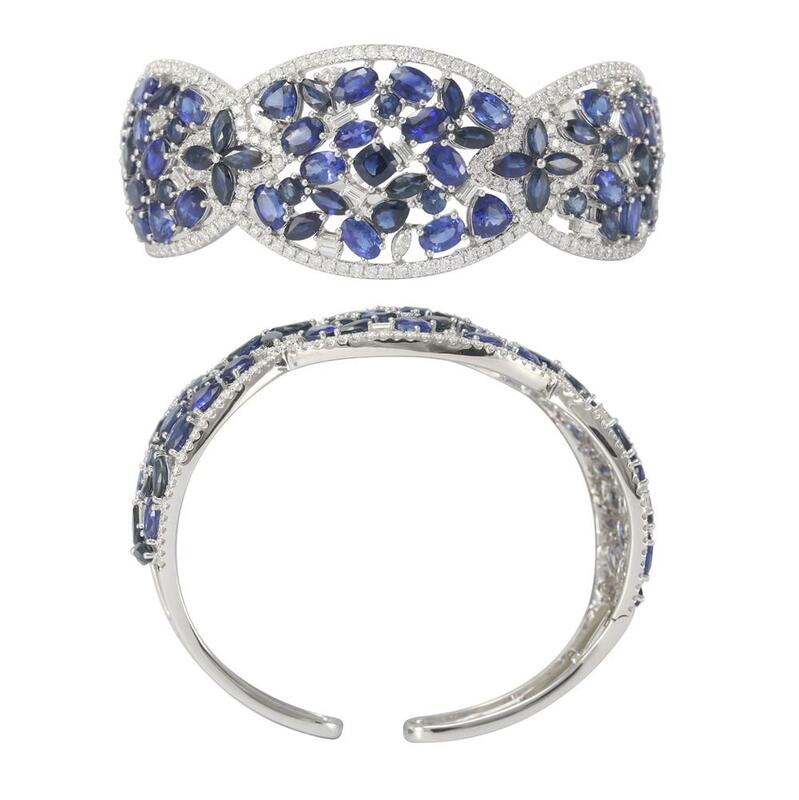 The mixed shapes sapphire in this bangle has a total carat weight of 34.01 carats. The diamonds have a total carat weight of 3.78 carats.